As previous segments in this series have detailed, Apple's new iOS 6 Maps introduced cutting edge technology related to efficient 2D and perspective vector maps, as well as 3D visualizations of satellite maps, a feature Apple calls Flyover. In these areas, Apple is well ahead of the mobile apps from Google and Nokia, the existing market leaders. Apple's mobile iOS 6 Maps is even well ahead of Google and Nokia in the arena for 3D mapping visualizations using a full powered desktop. On top, Apple will be bringing its own desktop class Maps app to OS X Mavericks, providing larger map views without the performance constraints imposed by mobile devices. Apple's Maps also handle offline use much more efficiently. If you do any traveling where you work outside of the network service area, being able to efficiently work offline is a major feature. For example, after going off the mobile grid on the way to the airport in Hamburg, Germany, Google Maps for iOS gave me nothing but pixelated mess of jagged lines well before I got there, while Apple Maps properly cached enough vectors show where I was, navigate the highways and read the street labels of the major roads. At the same time, Apple's iOS 6 Maps doesn't provide its own transit information, relying instead on third party partner apps to deliver this. 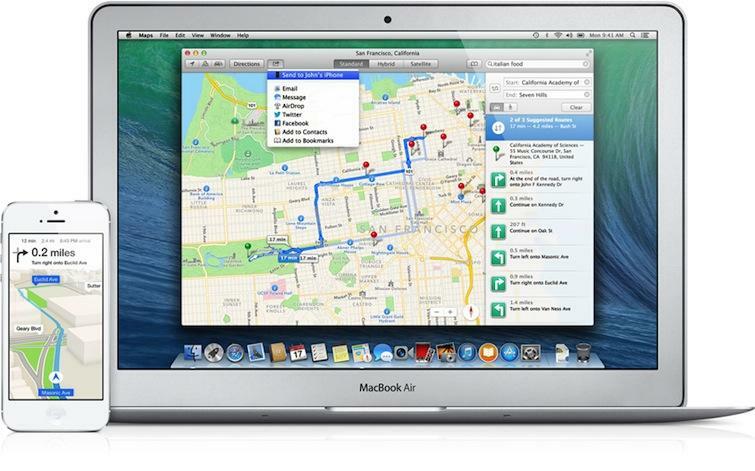 And in many reviews, Apple's new Maps have been criticized over misplaced map labels and inferior search results. To see how well (or poorly) Apple's map labeling and location search stands up to competitors (and companion iOS 6 alternatives in the App Store, including Google Maps for iOS and Nokia Here), we conducted a series of tests to see how well each performs at finding and locating points of interest and (as will be detailed separately in a future segment) in providing driving directions and traffic information. 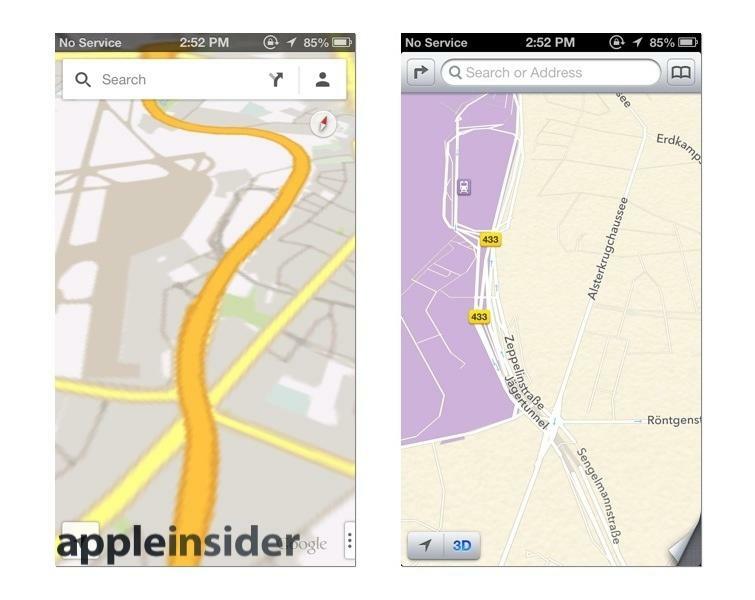 You can skip the historical context of iOS 6 Maps below and jump to our comparison of iOS map apps on page two. 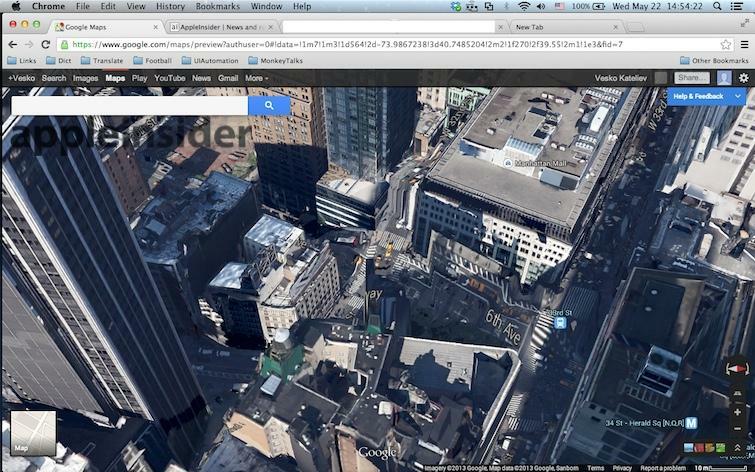 Last fall's release of iOS 6 Maps wasn't Apple's first move into the business of maps and location-oriented technology. The company began laying the groundwork for location awareness and finding and labeling locations at least five years earlier. Within six months of launching the original iPhone, Apple added the beginnings of a location system to its Maps app, originally based on WiFi base station data compiled by Skyhook Wireless (because the original iPhone lacked hardware support for "real" GPS in the form of the satellite-based Global Positioning System). In iOS 2, alongside the release of the App Store, Apple began recognizing the potential for misuse of location data and the need for protecting users' security from intentional or inadvertent mishandling by third party apps. It gave users the ability to turn location data off before it even launched the App Store, and forced app developers to ask the user for permission before accessing the device's location for any reason. In iOS 3.0, Apple added remote location capabilities for MobileMe's new "Find my iPhone" feature, similarly protected via a user-secured account. It also introduced Core Location, a framework that enabled third party apps to develop turn by turn navigation apps. In parallel, Apple also launched a new version of iPhoto in early 2009 that added geolocation awareness to photos on the desktop, a feature it named Places. Beyond just reading the geotag metadata of a photo and plotting it on a map, iPhoto also performed reverse lookup of place names from the latitude and longitude data, as Apple's Phil Schiller demonstrated at Macworld Expo. While Apple continued to use Google's map data, it was beginning to develop its own location database for Places. At the same time, Apple also began acquiring location based mapping companies, including Placebase in July 2009. That startup's employees had been working on maps product before Google brought its own Maps to the web for free; Placebase then changed direction to offer a more customizable product to layer "private and public data sets" together. Former Placebase employees subsequently joined the "Geo Team" at Apple to work on a series of location-based initiatives in iOS and OS X, and in apps like iPhoto. Apple continued hiring staff to work on maps, with one job posting in late 2009 noting, "we want to take Maps to the next level, rethink how users use Maps and change the way people find things. We want to do this in a seamless, highly interactive and enjoyable way. We've only just started." By 2010, most of Apple's iPhone installed base now had GPS, but Apple's other products, including the iPod touch, all WiFi-only iPads and Macs, still relied on WiFi location. That spring, Apple began providing its own location information in place of data from either Skyhook or Google. It also began supporting iPhoto Places on iOS 3.2 for iPad. And that summer, Apple released iOS 4 with additional security features related to location services, which it also enhanced to "define geographic regions and monitor when the user crosses the boundaries of those regions," a technology referred to as geofencing. Apple also enhanced its Map Kit framework in iOS 4, adding support for map overlays to "provide a way to create more complex types of annotations. Instead of being pinned to a single point, an overlay can represent a path or shape that spans a wider region." Apple told developers, "you can use overlays to layer information such as bus routes, election maps, park boundaries, and weather maps on top of the map." The company also acquired Poly9, a Canadian company that produced mapping products used by companies including Skype, which was later purchased by Microsoft. And through the end of 2010, Apple continued to hire new engineers related to mapping services, asking for candidates with "deep knowledge of Computational Geometry or Graph Theory" and posting listings related to "distributed image processing on a server cluster." In 2011, the company announced in April that it was "collecting anonymous traffic data to build a crowd-sourced traffic database." The collected data sparked a controversy after users discovered caches of large amounts of data that were being unnecessarily backed up to iTunes, issues that Apple addressed with an iOS update in May. Apple subsequently introduced iOS 5, which added new support for geofencing in location-based Reminders, a feature that later made its way to the Mac. This feature was an application of the Location Services and Map Kit enhancements Apple had first introduced in iOS 4. When iOS 6 arrived, it should not have been huge surprise that Apple was now serving its own maps within the app, rather than Google's. At the same time, however, a variety of features that users commonly associated with Google Maps were actually Apple's own work. 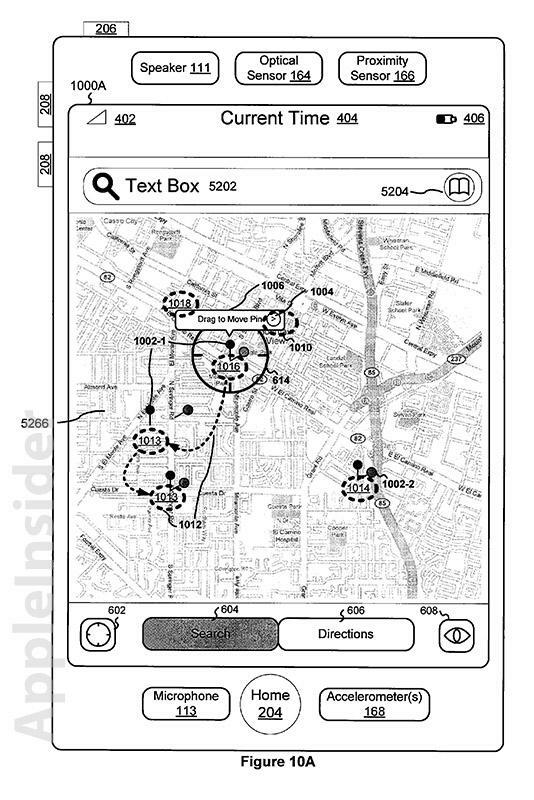 This included the original iOS Maps user interface (which Apple patented) and the Map Kit frameworks developers use to interact with it and to locate places and draw points of interest, bus routes, arbitrary regions and other annotations on a map. Developers were fully aware of this, but many users did not seem to be. However, after years of internal work, the new iOS 6 Maps was released last fall without full and official recognition by Apple that some elements of the new product were brand new and still being completed, particularly its Flyover 3D satellite renderings, which were only finished in a variety of U.S. cities. Critics, unaware of Apple's years of work invested in Maps (many of whom apparently thought that that iOS 5 Maps was entirely a Google product) virtually ignored all of the new product's innovations to focus on four things: Flyover glitches in areas that hadn't been fixed (such as the Brooklyn Bridge), the lack of Google's Street View, the lack of integrated transit data, and a variety of improperly located or otherwise incorrect points of interest. Maps, a primary strategic product for Apple in iOS 6, rapidly became one of the most ridiculed and dismissed products in recent history. Pundits' contempt for the new Maps grew so loud and scathing that Apple's chief executive Tim Cook issued an apology for any inconvenience to users and recommended a variety of alternative mapping tools in the App Store and on the web for iOS 6 users. It has since been widely reported that Scott Forstall, then acting as the head of iOS development, refused to make the public apology himself. That was said to be the last straw in what has been characterized to be a series of contentious management issues, and resulted in Forstall being stripped of his responsibilities. Management of the Maps team has now been delegated to Eddy Cue, who runs the rest of Apple's online services including iCloud, iTunes and the App Store, and the Siri service integrated into Maps.